A lot of celebrities, influencers, and other users woke up on Wednesday to see the number of their Instagram followers going down for no apparent reason. Some lost thousands of followers overnight while many celebrities saw their Instagram follower count going down by millions for no apparent reason. Was it due to an internal error or part of a planned program? The social network hasn’t issued a statement on the issue yet. Are your Instagram followers going down, too? I have 41 followers on Instagram and fortunately my follower count remains the same. Some users reported losing hundreds of followers. Popular influencers and celebrities were the most affected. Celebrity stylist James Charles said in a tweet that he lost more than half a million followers overnight. Ariana Grande lost more than three million Instagram followers. Another popular celebrity Selena Gomez lost about two million followers. What’s even more surprising is that Instagram’s own official Instagram account has lost three million followers in a single day. While influencers and celebrities might be sulking at the loss of their Instagram followers, they may see even bigger declines in the future. It appears to be part of Instagram’s strategy to remove fake, spam, and bot accounts from its platform. The company has conducted a similar purging of bot accounts in the past. If Instagram is doing it on purpose again, we should expect a statement from the coming soon. The latest round of purge appears to have started only a few hours ago. Folks at Piunikaweb have come across some user reports that suggest it could be an internal error. Many users said they were seeing different number of followers when they visited their profile from different accounts. One user said updating the Instagram app brings things back to normal. If it’s indeed the case, it’s more likely to be a glitch. Since November last year, Instagram has been fighting the automated apps that influencers, celebrities, and other people use to boost their followers. Such apps leave spammy comments and play the follow-unfollow game to artificially increase followers for their clients. It violates the social network’s policies. The company had warned users to cut ties with such apps. It has also been removing fake followers from the platform, which has affected a large number of users. It will help remove inauthentic activity on the platform. The Facebook-owned platform is removing fake, spam, and bot accounts to prevent the threat of misinformation campaigns ahead of elections in the United States, India, and other countries. Facebook revealed recently that it had removed 754 million fake accounts in a single quarter alone. According to TechCrunch, Instagram has been removing fake accounts on its platforms since 2014. But the company discussed it publicly for the first time only last year. It has built AI tools to identify fake accounts and accounts that use third-party apps to boost their followers. Other social networks such as Twitter have also been actively wiping out fake and bot accounts from their platforms. It affects celebrities and politicians in a big way because they lose hundreds of thousands or even millions of followers. Twitter’s latest crackdown on fake accounts saw many political figures losing tens of thousands of followers. 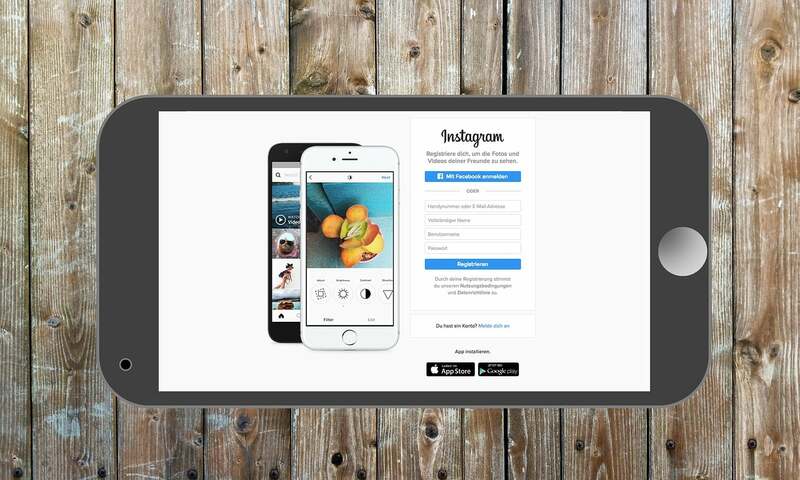 Instagram to bring direct messages to the web? App researcher Jane Manchun Wong has discovered that Instagram is testing the Direct Messages feature for the web on both desktop and mobile. Instagram’s desktop version merely allows you to see your feed and edit your profile. You can’t upload photos or send DMs. And the service has no plans to add the ability to upload photos or stories from desktop. But it could bring direct messages to desktop pretty soon. It’s unclear why the company is bringing DMs to desktop web. It could be an indication that messaging has become an important part of its platform. Recent reports suggest that Facebook is working to unify the Messenger, Instagram DMs, and WhatsApp into a single platform.